Save Money & Space with Companion Planting!! 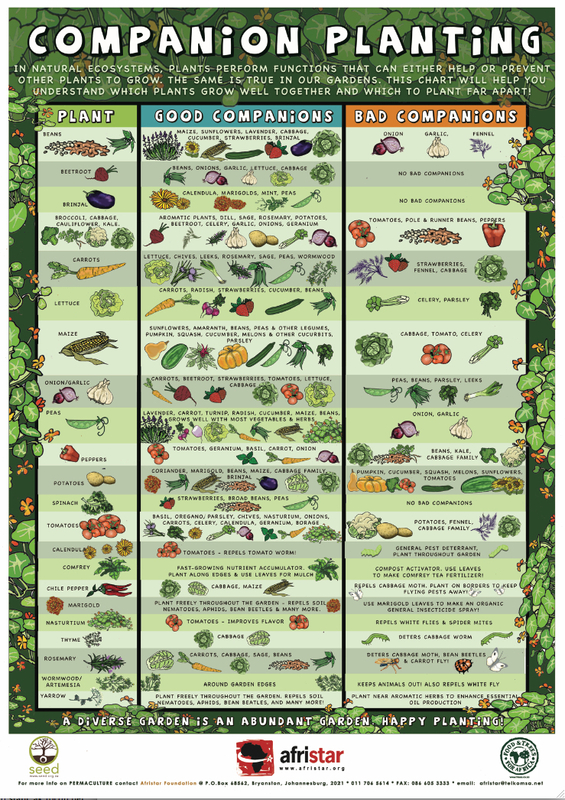 Have you heard of Companion Planting in your Garden? Now is the perfect time to plan out some fruits, veggies, and herbs to put together to save money (garden beds, soil, etc.) and space. The benefits also extend beyond the savings of money and space though, plants can work together (or against one another) to help give you a GREAT harvest. This is my Mom’s backyard, and she has trimmed down her garden area and turned it into more of a gardening landscape. Last year she backed down to just blueberries in this area, but this year she is going to plant lettuce and spinach in and around the blueberry bushes so she has fresh garden salads on hand! Last year we planted a variety of Squash with Spinach and Lettuce. They worked really well together since the lettuce and spinach are early crops whereas the squash take longer to grow and they didn’t take over until the spinach and lettuce had bolted in the hotter weather. We also planted Sunflowers with Bush beans and they grew VERY well together! We were able to save space and money by only preparing and maintaining two garden beds, but got several crops. This year we will be combining onions with beets, and carrots with tomatoes. I have referenced The Vegetable Gardener’s Bible to you before, and there is a great list of “Garden Friends, and Adversary(ies) listed that can help you decided what to plant together. Some of the most popular combinations are: Bush beans with beets, cabbage, carrots, pea, strawberry. Another easy combination could be: Cucumber with cabbage family, dill, eggplant, radish, and squash. You can even try to combine several “greens” to boost your health! Here’s a couple of seed ideas to get you started! Amazon: Two Piece Tankini Swimsuits $9.90 After Code (Reg. $44.99) + Free Shipping – Nice Selection!